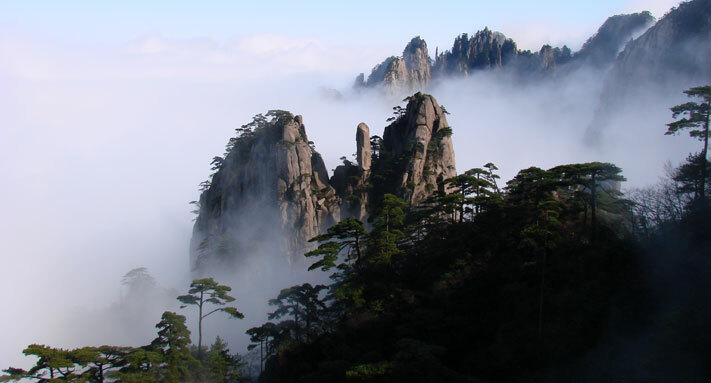 From October 28 to March 30 of this year, new flight schedules will be served in Huangshan Airport. A total of nine companies will change their flight schedulesincluding, China Eastern Airlines, China Southern Airlines, Shanghai Airlines, Air China, Tianjin Airlines, Capital Airlines, EVA Air, Korean Air and Asiana Airlines. They will serve air lines from Huangshan to Beijing, Shanghai, Guangzhou, Shenzhen, Hefei, Chengdu, Chongqing, Xian, Xiamen, Taipei, Seoul and other places, including 10 domestic lines, 1 regional city and 1 international city. They plan to schedule 59 flights per week, which is 40.48% up than 42 flights of last year. After the change, the new flight from Huangshan to Tianjin will be served by emb190 of Tianjin Airlines 3 times a week. The new flight from Huangshan to Taipei will be served by md90 of EVA Air 3 times a week while flight from Xian- Huangshan-Xiamen by jd5105/6 of Capital Airlines. In addition, flights start from Huangshan to Guangzhou and Shenzhen will have a delay of 30 minutes.